Money is available to keep Kenosha public pools open longer on hot days this summer, the Board of Parks Commissioner learned Monday. Jeff Warnock, Parks Department superintendent, said at a commissioners meeting that the pools would have basically the same schedule as last year. 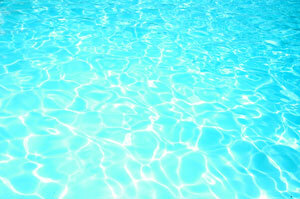 The city pools will be closed on Mondays for maintenance and down days. Normal hours will be noon to 5:45 p.m. during the week, however, there is an additional $10,000 to fund staying open longer on hot days. Also discussed was staying open later on certain days of the week, since this was requested by several people last year. The request from the Kite Society of Wisconsin and Gift of Wings received unanimous approval to hold their 10th Annual Kite Festival in Kennedy Park on June 4-5, 2011. Scott Fisher presented the commission with a Kenosha Parks banner (a donated item), which can be used with the city’s Show-Mobile. Originally, the city sponsored the event, which cost approximately $7,000. Then, after three years, the city asked their organization to co-sponsor the event. Approximately 14,000 people attend the event, which brings added peripheral revenue to the city. The power easement for the cell tower at Anderson Park, which was requested by A T & T and Wisconsin Electric, was unanimously approved. Ron Bursek, director of Public Works, reported that the bidding process for the tree trimming and stump removal contract will start within the next two to three weeks. Warnock also reported that the five Tool-Kats which were purchased (three for Parks and two for Streets) are working out very well. After plowing was completed, the highly travelled sidewalks were cleared with these machines with blowers attached to the front. They don’t need drivers with CDL’s. Some police officers have been helping drive them. This helps them understand and appreciate what the snow blowing staff goes through. Chairman Michael Orth asked about the FEMA dollars. Bursek responded that the government will reimburse the city 87.5% of a 48-hour window of costs (only straight time, no overtime). The numbers are still being prepared for submission. Any dollars reimbursed will be sent directly to the city’s General Fund. Orth also commented on an item which was deferred from the last meeting, which was not on the agenda. City ordinances do not permit city equipment to be taken outside the City of Kenosha; only in emergency situations could the equipment be used.